When writing HLSL shader programs, input and output variables need to have their “intent” indicated via semantics. This is a standard concept in HLSL shader language; see the Semantics documentation on MSDN for more details. You can download the examples shown below as a zipped Unity project, here. See in Glossary data elements, like vertex position, normal mesh, and texture coordinates. See vertex program inputs for more details. 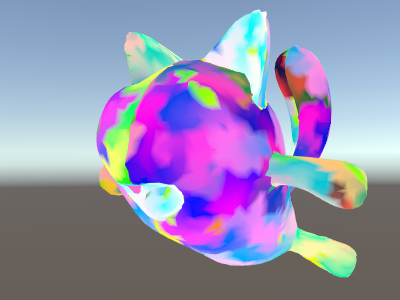 See in Glossary shader visualizes the texture coordinate as a color. Instead of spelling out all individual inputs one by one, it is also possible to declare a structure of them, and indicate semantics on each individual member variable of the struct. See shader program examples to learn how to do this. The function frag has a return type of fixed4 (low precision RGBA color). As it only returns a single value, the semantic is indicated on the function itself, : SV_Target. Returning structures from the fragment shader is mostly useful for shaders that don’t just return a single color. Additional semantics supported by the fragment shader outputs are as follows. See in Glossary into more than one render target at once (known as the Multiple Render Targets rendering technique, or MRT). SV_Target0 is the same as SV_Target. Usually the fragment shader does not override the Z buffer value, and a default value is used from the regular triangle rasterization. 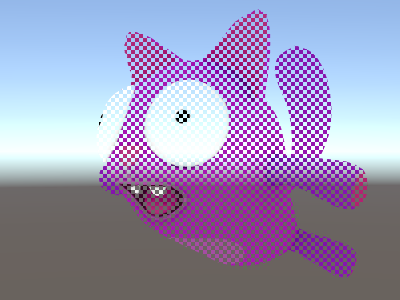 However, for some effects it is useful to output custom Z buffer depth values per pixel. See in Glossary optimizations, so do not override Z buffer value without a good reason. The cost incurred by SV_Depth varies depending on the GPU architecture, but overall it’s fairly similar to the cost of alpha testing (using the built-in clip() function in HLSL). Render shaders that modify depth after all regular opaque shaders (for example, by using the AlphaTest rendering queue. The depth output value needs to be a single float. 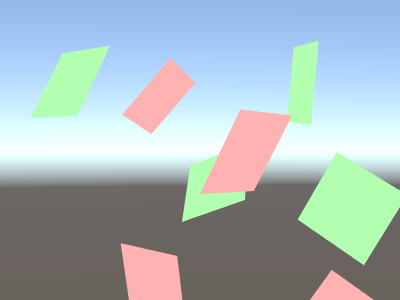 A vertex shader needs to output the final clip space position of a vertex, so that the GPU knows where on the screen to rasterize it, and at what depth. This output needs to have the SV_POSITION semantic, and be of a float4 type. TEXCOORD0, TEXCOORD1 etc are used to indicate arbitrary high precision data such as texture coordinates and positions. COLOR0 and COLOR1 semantics on vertex outputs and fragment inputs are for low-precision, 0–1 range data (like simple color values). For best cross platform support, label vertex outputs and fragment inputs as TEXCOORDn semantics. See shader program examples for examples. Up to 8 interpolators: OpenGL ES 2.0 (iOS/Android), Direct3D 11 9.x level (Windows Phone) and Direct3 9 shader model 2.0 (old PCs). Since the interpolator count is limited, but each interpolator can be a 4-component vector, some shaders pack things together to stay within limits. For example, two texture coordinates can be passed in one float4 variable (.xy for one coordinate, .zw for the second coordinate). Up to 10 interpolators: Direct3D 9 shader model 3.0 (#pragma target 3.0). Up to 16 interpolators: OpenGL ES 3.0 (iOS/Android), Metal (iOS). Up to 32 interpolators: Direct3D 10 shader model 4.0 (#pragma target 4.0). Regardless of your particular target hardware, it is generally a good idea to use as few interpolators as possible for performance reasons. A fragment shader can receive position of the pixel being rendered as a special VPOS semantic. This feature only exists starting with shader model 3.0, so the shader needs to have the #pragma target 3.0 compilation directive. On different platforms the underlying type of the screen space position input varies, so for maximum portability use the UNITY_VPOS_TYPE type for it (it will be float4 on most platforms, and float2 on Direct3D 9). // screenPos.xy will contain pixel integer coordinates. See in Glossary, or facing away from the camera. This is useful when rendering geometry that should be visible from both sides – often used on leaves and similar thin objects. The VFACE semantic input variable will contain a positive value for front-facing triangles, and a negative value for back-facing ones. This feature only exists from shader model 3.0 onwards, so the shader needs to have the #pragma target 3.0 compilation directive. // of the two colors depending on that. 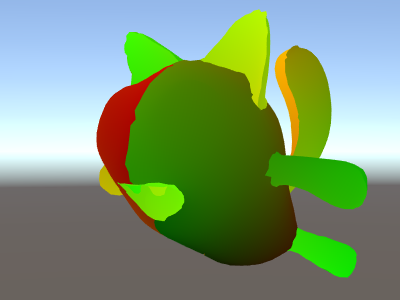 A vertex shader can receive a variable that has the “vertex number” as an unsigned integer. This is mostly useful when you want to fetch additional per-vertex data from textures or ComputeBuffers. This feature only exists from DX10 (shader model 4.0) and GLCore / OpenGL ES 3, so the shader needs to have the #pragma target 3.5 compilation directive.